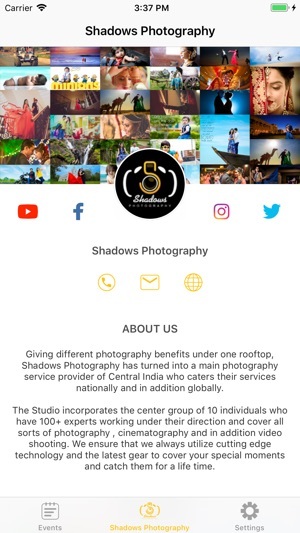 Shadows Photography India is an Event based, Live Photo sharing App, which lets you Pre-view and Share your Event photos. Just Enter the Event ID in the App to follow the Event. 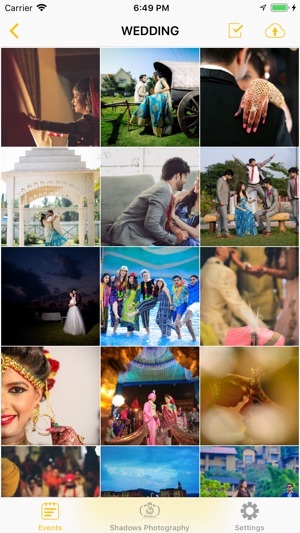 Share selected photos directly to Social Media networks from the App. You can also share the Event ID with your Friends and Family, even the ones who couldn’t make it to the Event. 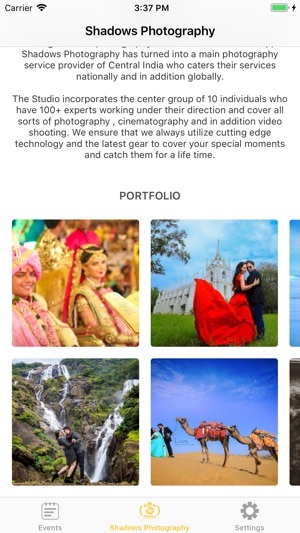 LIVE: Photos are Selected and shared by us instantly on the App. No more waiting for Weeks for your Event photos. PHOTO SELECTION: You can add photos that you like to your “Favorites” and share the list of favorites with the photographer for editing or printing. 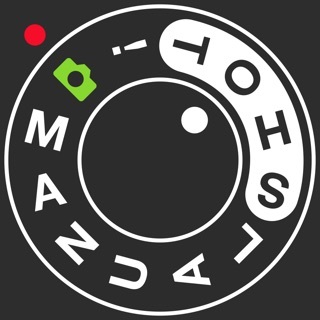 STORYLINE FORMAT: All images uploaded to the Event get sorted in the order of their photo click time, making your Event photos always tell you the real Story ! 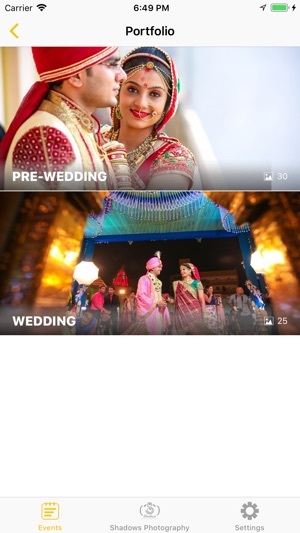 VIDEOS & SLIDESHOWS: We can also add video links from Youtube & Vimeo to your Event on the App directly for easy viewing of photos and videos at one place. You can also view Images on a big screen by mirroring your phone to a Smart TV or using Google Chromecast / Apple TV Etc. and run a slideshow of the Event photos to enjoy your photos on a big screen. With this update we also bid goodbye to the flashair tab where you could connect wirelessly with your camera using a Toshiba flashair wifi memory card. We may consider reintroducing this feature once WiFi card transfer speeds improve. In this update we have also addressed other minor bug fixes.